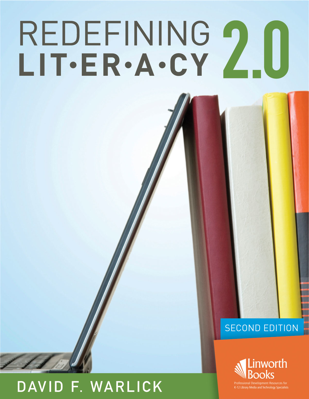 This seminal work on what literacy truly means in the 21st Century is filled with big, meaningful ideas. The purpose of this book is not to replace the three Rs, but to expand them to a model for literacy that applies to classrooms which are shape-shifting under the pressures of converging conditions. This is a must-read for all educators! Expose meaning from global interactive, multimedia, electronic cybraries. Employ information for solving challenges and constructing information. Express ideas compellingly and fluently through technology to a diverseaudience. This resource features an associated Wiki web page where readers can access presentation slides, links to blog entries about redefining literacy from the edublogosphere, online handouts for conference presentations and workshops, various files assocated with this book, and regularly updated web links that have started with Redefining Literacy for the 21st Century.